Is all asbestos and lead paint dangerous? No. While asbestos and lead are hazards when disturbed and airborne, If left undisturbed most Asbestos and Lead paint will not be dangerous. Are all products with asbestos a health risk for the consumer? No. A health risk exists only when asbestos fibers are released from the material. Soft, easily crumbled asbestos containing material has the greatest potential for asbestos release. Do all people exposed to asbestos develop asbestos-related Diseases? No. Most people exposed to small amounts of asbestos do not develop serious health problems. You may hire a qualified professional who is trained and experienced in working with asbestos and lead to survey your home. It is important to have a survey done before you start a renovation containing asbestos. Does asbestos have to be removed upon real estate sale? No. There is no law forcing asbestos removal though many buyers ask or require disclosure and the removal prior to sale. There is a law created after 1991 in which any owner who knows of existing asbestos materials must disclose under penalty of law to the new buyers. 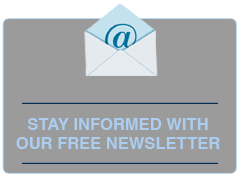 Where can I find more information about asbestos removal or building demolition questions? You can more information about asbestos regulations and recommended removal procedures through your local Air Quality Management District’s website. 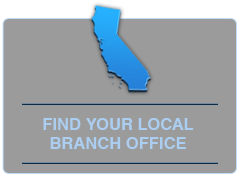 A statewide directory of California districts can be found at http://www.arb.ca.gov/capcoa/roster.htm. Do I need to have a survey prior to any demolition or renovation? Yes, an asbestos survey report is required prior to any demolition and renovation. Who needs to file the Asbestos Removal or Demolition Notification form(s)? The Contractor(s) that will remove asbestos and/or demolish the building. Who should fill out the notification? A Notification Form should be completed, signed, paid, and mailed by the contractor performing the asbestos removal and/or demolition project and submitted to the local Air Quality Management District. Are homeowners required to file a Notification Form? Yes, when the homeowner is performing the house demolition work himself/herself and has not hired* a contractor. How do I know if my house has lead-based paint? Older homes, child care facilities, and schools are more likely to contain lead-based paint. Homes that contain lead-based paint may be single-family homes or apartments. They may be private, government-assisted, or public housing. You can test your home with an EPA-recognized test kit, which are available at your local hardware store. To learn more about EPA-recognized test kits, visit http://epa.gov/lead/testkit.html. Where is lead paint found in my home? Lead paint is commonly found painted on wood trim, doors and frames, window components such as sills and sashes. Cabinets and exterior siding, eaves and rafters may also contain lead paint. Why is lead so dangerous? Lead in paint and the dust created when paint is pulverized can get into the blood stream and cause health problems such as learning deficits, nerve damage, and red blood cell damage. Even small amounts of lead in the blood stream of children can be deadly. What should I do if I am concerned about my family's exposure to lead? Regularly cleaning floors, window sills, and other surfaces. Washing children's hands, bottles, pacifiers, and toys often. Making sure children eat a healthy, nutritious diet consistent with the USDA's dietary guidelines. Wiping off shoes before entering the house. Using an EPA-certified firm for renovations, or if you are doing the renovation yourself, using lead-safe work practices (see http://www.epa.gov/lead for more information). What mold spores are most dangerous, and why? Many molds are naturally occurring following water damage, though the Stachybotrys mold can be deadly when disturbed. The spores infiltrate the respiratory system and can cause deadly sickness. What are the signs of a mold or moisture problem? You could have a mold or moisture problem if you see discolored patches (could be dark or many other colors) or cottony or speckled growth on walls or furniture, or evidence of water-damaged surfaces, or if you smell an earthy or musty odor. You also may suspect mold growth or a moisture problem if people have upper or lower respiratory symptoms when in the house, classroom, or workplace (see the health effects of mold). If you see mold or current water damage in your building, you should look for the source of moisture. You may find mold growth underneath water-damaged surfaces (for example, wallpaper or carpet) or behind furniture, walls, floors, or ceilings. Why does there seem to be an increase in Bed Bug outbreaks in recent years? Long considered eradicated in most metropolitan areas, bed bugs are making a comeback. In the past, insecticides such as DDT helped to keep the bed bug population at bay with residues that continued working after the product was sprayed. Bed bugs have also developed resistance to many of the pesticides, particularly pyrethroids, commonly used today. In addition, people now travel more than ever before, particularly to and from global destinations where bed bugs have remained prevalent. What type of environments are Bed Bugs typically found in? They are being found in cities across the country everywhere from homeless shelters to five-star hotels. Contrary to popular belief, the presence of bed bugs does not indicate a lack of cleanliness. Places that see a great deal of customer turnover, such as hotels and motels, give bed bugs the opportunity to continue their travel to new locations as hitchhikers on luggage or clothing. Bed bugs often hide in mattresses, but they can also survive in furniture, behind wallcoverings and pictures/paintings. They will crawl and nest inside tiny crevices anywhere indoors, as long as there is a source of food (blood). Bed bugs have an oval body and a short, broad head. The body as a whole is broad and flat. Unfed adults are around ¼ inch (6 mm) long, brown and wingless. After feeding, they swell slightly in size and darken to a blood-red color. The nymphs are shaped like the adults, but are yellow-white in color. The nymphs range in size from nearly microscopic to adult. The first and second stage instars are very difficult to identify because of their small size. Bed bugs are wingless and cannot fly or jump, but are able to enter into extremely small locations in the home because of their flattened bodies. After feeding, bed bugs turn dark red and become bloated. What are some indicators of a Bed Bug infestation? Itchy welts on skin, blood spots on sheets and/or black or brown spots on mattresses, bed frames or walls often indicate that there is a bed bug infestation. How does someone get a Bed Bug bite? Bed bugs bite by piercing the skin with an elongated beak through which they draw blood. As a bed bug is biting, it injects anesthetic saliva to numb the pain. It also contains anti-coagulant to keep the blood of its meal host flowing. Feeding takes from three to 10 minutes although, the person rarely knows they are being bitten. Bed bug bites most commonly occur on exposed areas of the body, including face, neck, hands, arms, lower legs or all over the body. What do Bed Bug bites look like and are there associated symptoms? Individual responses to bed bug bites will vary. Many people are not aware that they have been bitten, but some people may be more sensitive to the bite and may have a localized reaction. Bed bugs are attracted to humans’ high body temperature and carbon dioxide production. When bed bugs bite people, they inject saliva into the biting area, causing the skin to become irritated and inflamed. The skin lesion from bed bug bites may go unnoticed, or be mistaken for flea or mosquito bites or other skin conditions. The most common rash is made up of localized red and itchy flat lesions. Small raised red swelling lesions are also common. In rare cases, people may develop large raised, often itchy, red welts. In people with high sensitivity to bed bug saliva, people may develop a lump filled with blood or fluid. People can be allergic to bed bug bites, which can cause swelling, itchy welts and in some cases infections. These infections can be serious, especially if they are from a resistant form of bacterial pathogen such as Methicillin Resistant Staphylococcus aureus (MRSA). Bed bugs have been known to cause significant psychological distress, disruption of sleep, nervousness and agitation. Do Bed Bugs present any risk for transmitting blood born illnesses? Currently a debatable topic within the scientific community, Hepatitis B Virus has been detected in bed bugs and their excrement up to 60 days after feeding on an infectious meal. It is not yet known whether the viral persistence is capable of infection. Although no current studies have demonstrated that bed bugs transmit diseases to humans, a recent study (Abbott et al 2011) demonstrated that bed bugs are vectors of several human pathogens. It is likely that disease can be transferred to humans via the vector route even if direct transmission is not yet proven. Additionally, bed bugs can severely reduce quality of life by causing discomfort, sleeplessness, anxiety, and embarrassment. How long do Bed Bugs typically live? Bed bugs can live for several weeks to several months without feeding, depending on the temperature. Bed bugs can go without feeding for 80 to 140 days; older bed bugs can go without feeding longer than younger ones. Adult bed bugs have been known to survive for as long as 550 days (over a year and a half!) without feeding. Do Bed Bugs pose any risk to my pets? Bed bugs prefer to feed on human blood, but in some cases will also bite mammals and birds. How do I treat a Bed Bug infestation? The best way to treat bed bugs is Integrated Pest Management (IPM), which combines a variety of techniques and products that pose the least risk to human health and the environment. Bed bugs have developed a resistance to many pesticides and insecticides. Additionally, pesticides will not kill all phases of the bed bug, particularly eggs. Oftentimes many treatments are required to successfully kill bed bugs with pesticides. As an alternative to chemical pesticides, P.W. Stephens Environmental provides a scalable, non-chemical, heat treatment using the patented ThermaPureHeat® technologies. As opposed to chemicals, a single heat treatment will kill all stages of the bed bug from egg to adult. ThermaPureHeat® will reach inaccessible areas that chemicals or other pesticides are unable to reach. ThermaPureHeat® is the safest most effective method to control bed bug infestations. What are some tips to prevent bed bug infestations in my own home? Although even the cleanest homes and hotels can have bed bugs, regular house cleaning, including vacuuming your mattress, can help to prevent an infestation. Clean up clutter to help reduce the number of places bed bugs can hide. Be careful when buying used furniture or clothes. Make sure to inspect the used item, and feel free to ask the retailer if the items were checked for bed bugs. Use caution when bringing home used furniture or clothes from the curb side or garage sale. These items may be infested with bed bugs. How can I minimize the risk of bed bugs while traveling? Inspect the room and furniture: inspect all cracks and crevices of the mattress and box spring, and look for blood spots or live insects. Request a different room if you find evidence of beg bugs. Protect your luggage: keep all belongings in your luggage and wrap your luggage in plastic to help prevent bed bugs from entering when traveling. Keep luggage on the shelf or up off the floor. Protect the bed: move the bed away from the wall, tuck in all bed sheets and keep blankets from touching the floor. Upon returning home: keep your luggage in an isolated area of your home, such as the garage. Inspect the luggage. Wash all your clothes in the hottest water possible and put them in a hot dryer for 20 minutes.